This is Temenos, the first of five planned Tees Valley Giants by Anish Kapoor – perhaps most famous at the moment for the ArcelorMittal Orbit in London’s Olympic Park. 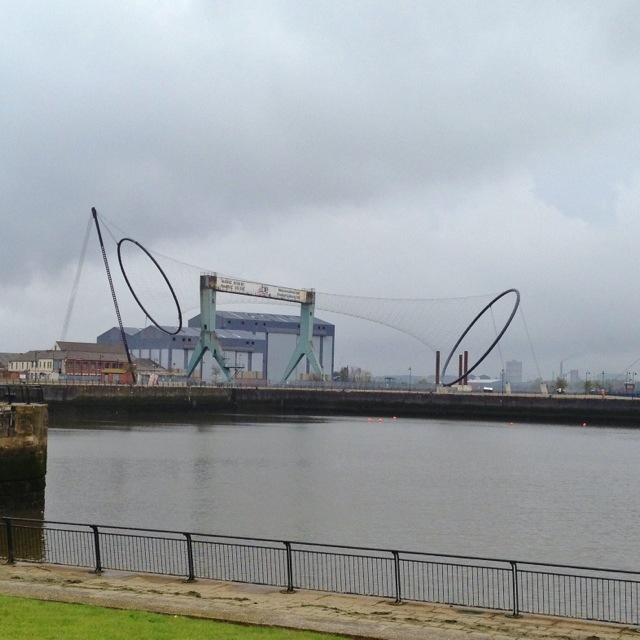 When all five are completed, the Tees Valley Giants will be the world’s biggest public artwork – although given that each sculpture is destined for a different Tees Valley town, there’s surely a philosophical debate to be had about whether they’re really one artwork. It’s not really the done thing to write off artists’ work, especially when they’re as well-respected as Kapoor – but I’ve never seen anything of his that doesn’t strike me as a bit soulless and bland. He seems to play with scale and materials, but never actually use them to say anything of note. But heck, I’m barely qualified to have an opinion on this, so just look at the photo and be amazed. This 1,631st post was filed under: Photo-a-day 2012, Anish Kapoor, Art, Middlesbrough.